In short, The SEC’s attempt in SEC v. Danny Garber, et al., 12-civ-9339 (S.D.N.Y. ), to re-write Regulation D Rule 504 through litigation, as was argued by the defendants, ended in a settlement, which, based upon the amount of money the SEC alleged was ill-gotten gain, appears to be a profitable result for the defendants. The implications of the SEC’s theory of misconduct are broader than the attack on the Minnesota Rule 504 offerings mentioned in my earlier blog article, as the SEC also attacked the defendants’ Rule 504 offerings in Delaware, New York, and Texas. The settled result may provide some comfort to securities attorneys who issued legal opinions on Rule 504 transactions, but the settled result is not precedent. There are a few takeaways from this case, and the arguments made by the SEC and the defense in their cross-summary judgment briefs are worth noting for securities practitioners, private equity investors, and small company securities issuers. First, in its memorandum of law filed in support of its motion for summary judgment, the SEC argued that the defendants violated Section 5 of the Securities Act of 1933, which requires the registration of all offers and sales of securities unless an exemption from registration applies. The SEC argued that the defendants were foreclosed from establishing an exemption from registration to their securities sales occurring in the states of Minnesota, New York, Texas and Delaware. The SEC based its argument on the Commerce Clause to the U.S. Constitution, contending that each state may only regulate conduct within its borders. The defendants, according to the SEC, actually resided in New Jersey or New York, had never set foot in Minnesota, Texas or Delaware, had no employees in these states, did not send money through these states, and did not execute any securities transaction documents in those states. The SEC concluded that all transactions were effectively conducted in New York or New Jersey. Second, citing a 2014 court opinion from the Southern District of New York decided on a motion to dismiss in a SEC case, the SEC argued that a claim of exemption from registration based upon compliance with Rule 504(b)(1)(iii) and Delaware law required a defendant to establish compliance with the law of each of the state where the offer and sale took place and not merely with the law of the state where the purchaser is incorporated. 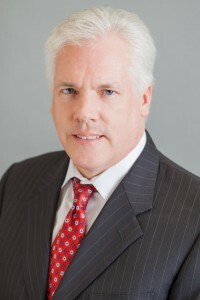 The SEC argued that the claimed exemptions from registration under the Minnesota, New York, Texas and Delaware laws did not comply with Rule 504(b)(1)(iii) because these state laws did not permit general solicitation and general advertising and/or did not limit sales to only accredited investors. The third prong of the SEC argument was that the defendants violated the spirit of Regulation D in their stock purchases made in reliance on the Rule 504 exemption. Regulation D Rule 500(f) states that the Regulation D exemption from registration is not available for any transaction or chain of transactions that technically complies with Regulation D but is part a plan or scheme to evade the registration provision of the Securities Act. The SEC contended that the defendants’ use of purported shell corporations created for a specific purpose of exploiting alleged exemptions from registration in states where the defendants had no offices, employees, or business operations violated the spirit of the exemption. The SEC also challenged the defendants’ reliance on Rule 144 for certain transactions, but this argument and the defendants’ opposition is beyond the scope of this article. On the other hand, the defendants argued in support of their motion for summary judgment that Rule 504(b)(1)(iii) applies to their purchases and re-sales because the rule allows small companies to raise limited amounts of capital by selling unregistered stock to “accredited investors” in accordance of existing state law registration exemptions so long as the exemptions “permit general solicitation and general advertising” and the issuer only sells to accredited investors. The defendants alleged that they were accredited investors and properly were the purchasers of the shares under Rule 504 and the corresponding state law exemptions. Therefore, the defense contended that the SEC’s position amounted to an attempt to rewrite Rule 504 to close what it perceives as a loophole. The defendants further contended that the SEC now recognizes that the defendants are, or were, in fact accredited investors and that the shares issued under the Rule 504 exemption were in fact free trading. The defense argued that the SEC is displeased with the fact that the Rule 504 exemption enabled investors like the defendants to sell their shares quickly and profitably. To prevent the defendants from profiting, the SEC has effectively re-interpreted Rule 504 by reading its exemption provisions out of existence, and has overridden the defendants’ transactional lawyers’ advice that they could rely on the exemptions. Further, the defense argued that the SEC position is contradicted by the very state securities commissions which passed or enforced the exemptions in question, citing Texas and Delaware state securities commissions as disagreeing with the SEC interpretation. The defense pointed out that the state securities registration exemptions in question intentionally omitted any prohibition against general solicitation and advertising; thus, general solicitation and advertising were permitted in the states at issue. Therefore, the defense argued, the SEC theories are not actually based on the violation of the text of Rule 504(b)(1)(iii) but rather on the spirit of the rule – a claim that the defendants had an insufficient nexus with the states of Minnesota, Texas or Delaware. However, the defense pointed out that nowhere in Regulation D or in Rule 504 is there a requirement that the purchaser or issuer maintain a certain nexus with the state in question. The defense argued that even if there was such a requirement, the defendants had a corporate presence in the form of virtual offices in those states and subjected themselves to the jurisdiction of those states. According to the SEC’s litigation release, in the settlement, the four individual defendants agreed to final judgments that enjoin them from any future violations of Section 5 of the Securities Act and require them to pay a $25,000 civil penalty. The final judgment against Garber also includes a permanent penny stock bar, permanently enjoins him from participating in unregistered offerings, and requires him to pay disgorgement of $862,000 plus prejudgment interest of $113,000. The final judgments against the other three named individuals permanently enjoins them from participating in any offering made pursuant to Rule 504 of Regulation D, requires one defendant to pay disgorgement of $862,000 plus prejudgment interest of $113,000, and requires the other two defendants to each pay disgorgement of $314,550 plus prejudgment interest of $41,419. In comparison, the SEC’s complaint alleged that the defendants obtained approximately $17,000,000 from their stock sale activities. The SEC’s litigation press release did not mention whether the disgorgement amounts were related to the Rule 504 allegations or to the defendants’ purported Rule 144 re-sale violations.